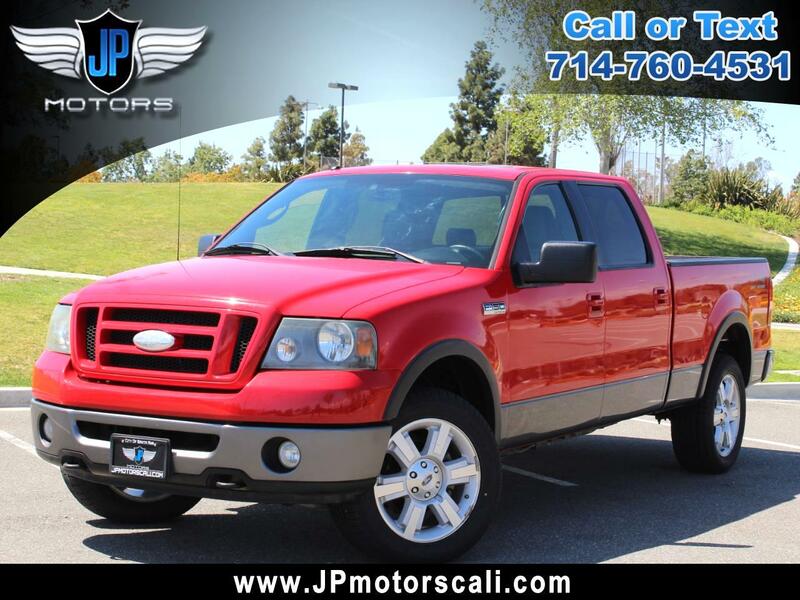 Visit JP Motors online at www.jpmotorscali.com to see more pictures of this vehicle or call us at 714-760-4531 today to schedule your test drive. Photo may not be of actual vehicle. See dealer for details. Although every reasonable effort has been made to insure the accuracy of the information on this site, absolute accuracy cannot be guaranteed. All vehicles subject to prior sale. Price doesn't include applicable government fees, taxes, title, any finance charges, dealer document preparation charge, emission testing charge & license fee. Message: Thought you might be interested in this 2008 Ford F-150.